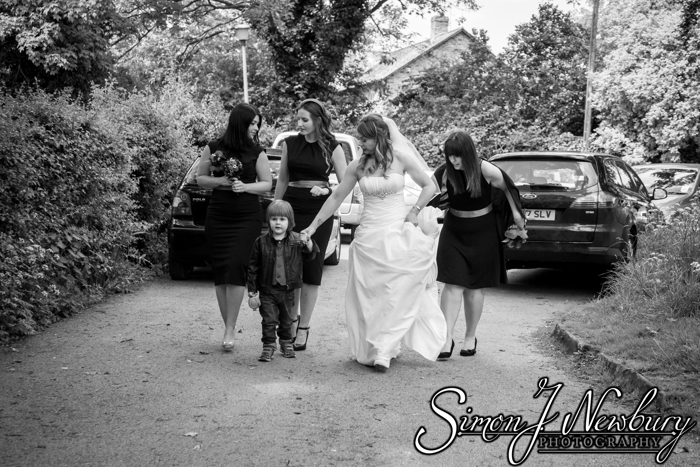 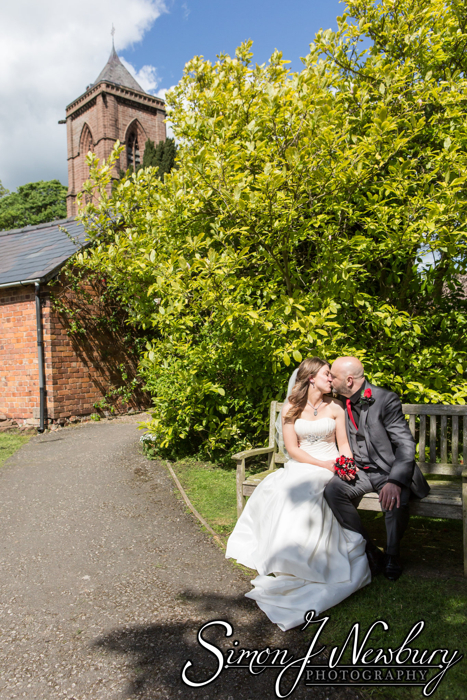 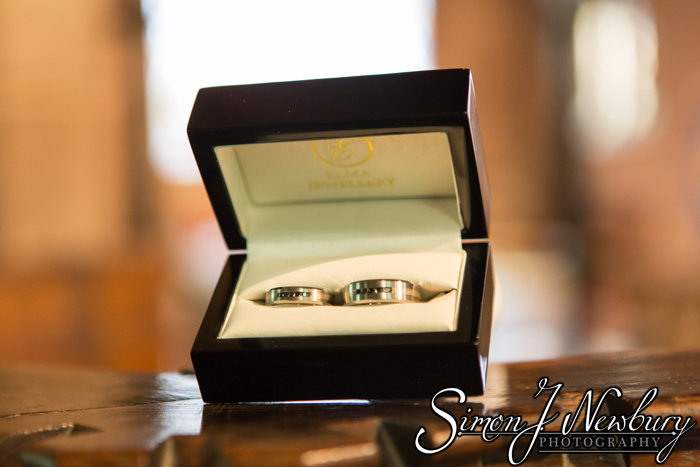 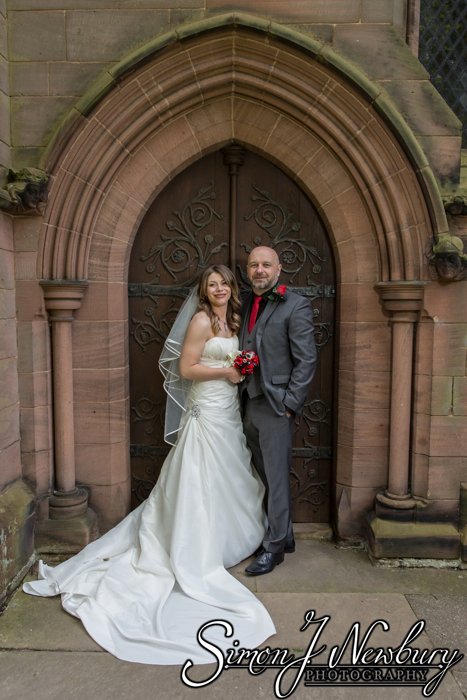 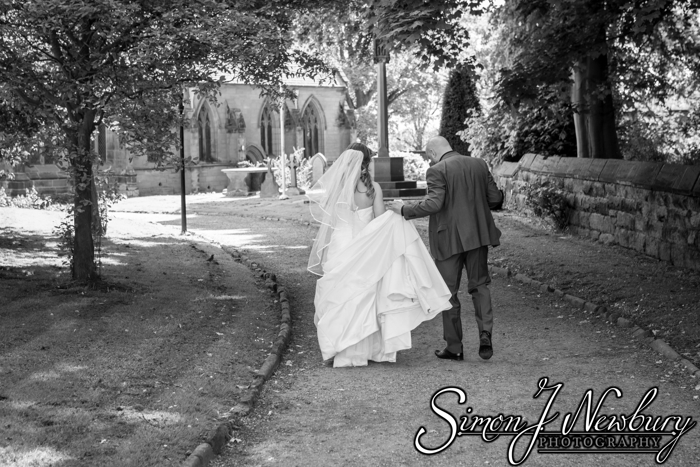 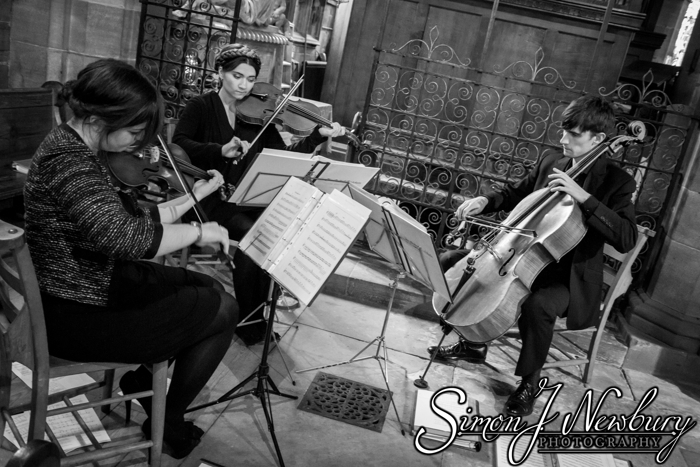 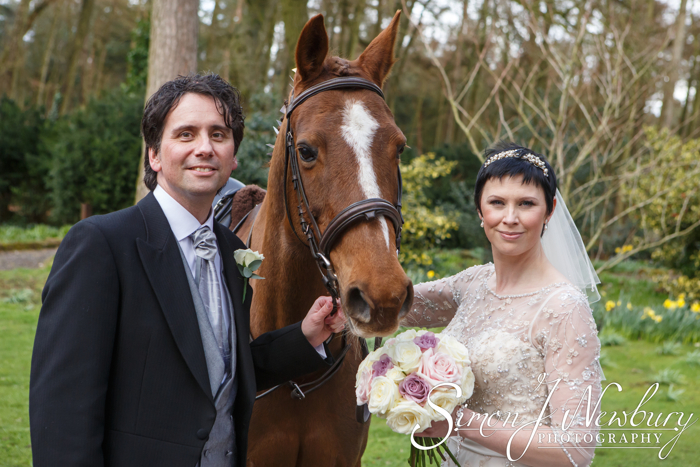 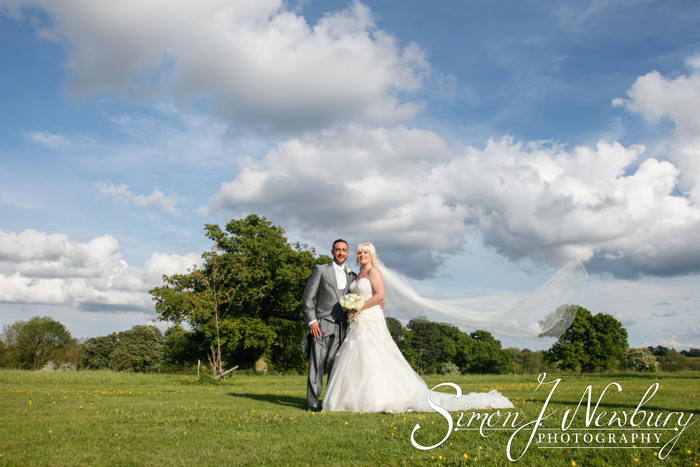 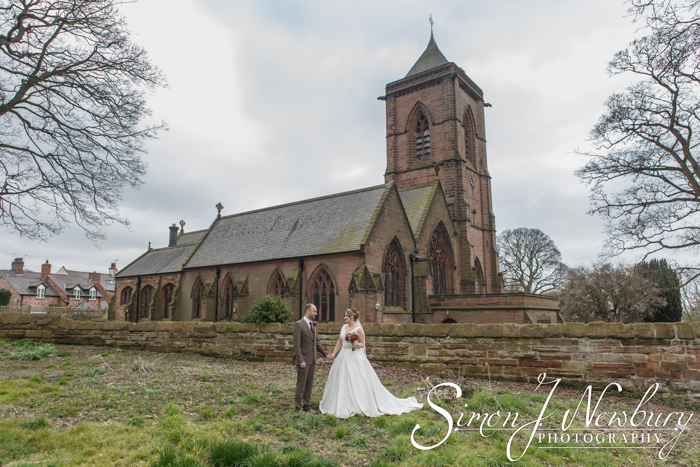 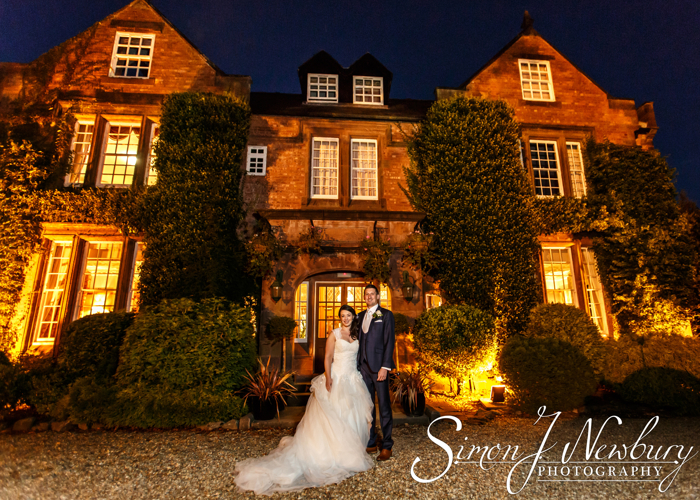 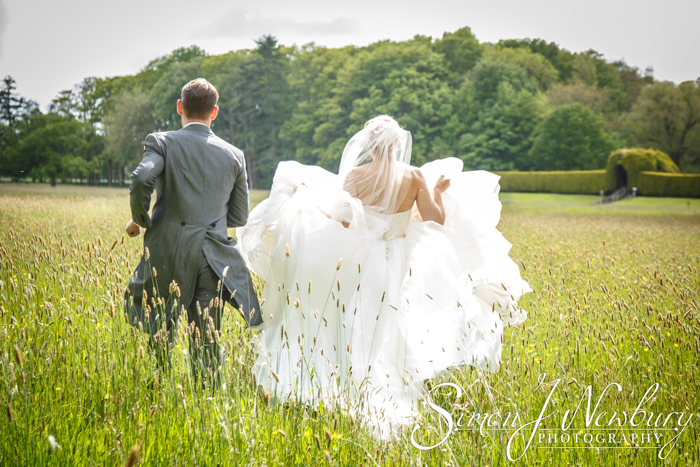 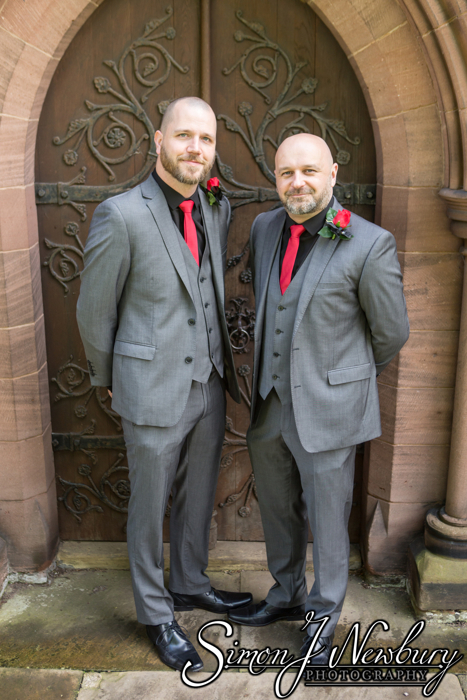 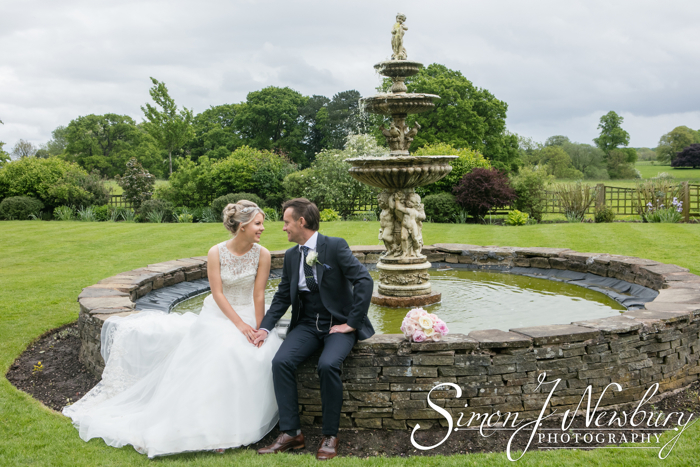 Simon J. Newbury Photography had the pleasure of photographing the wedding of Rudi and Sarah-lou in the historic St Helen’s Church in Tarporley, Cheshire. 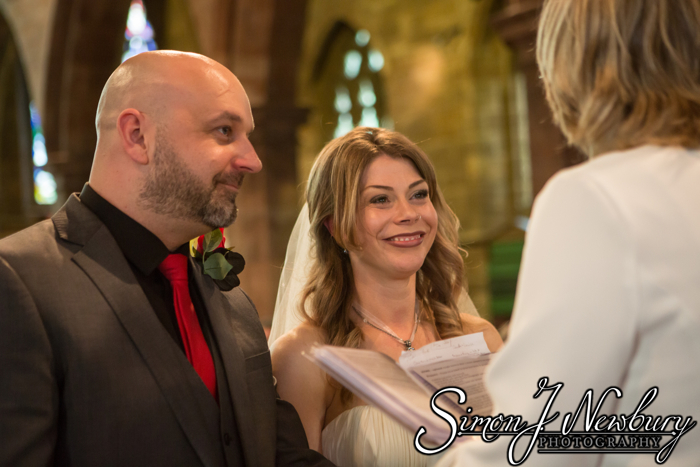 The beautiful ceremony was photographed from two angles with Simon up front in the choir stalls (not singing!) 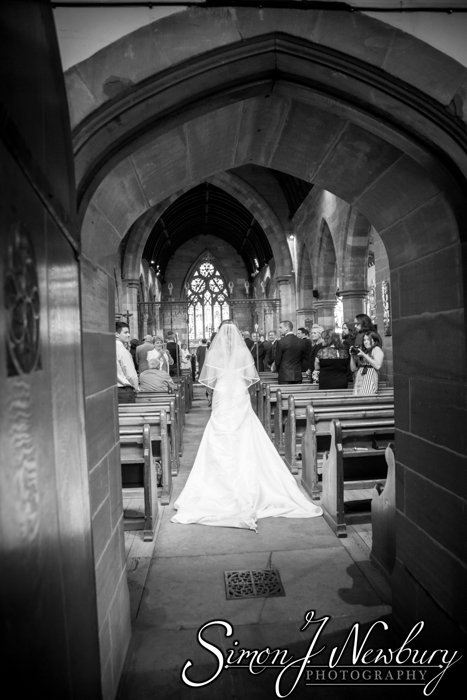 and Tina photographing down the aisle for a second perspective. 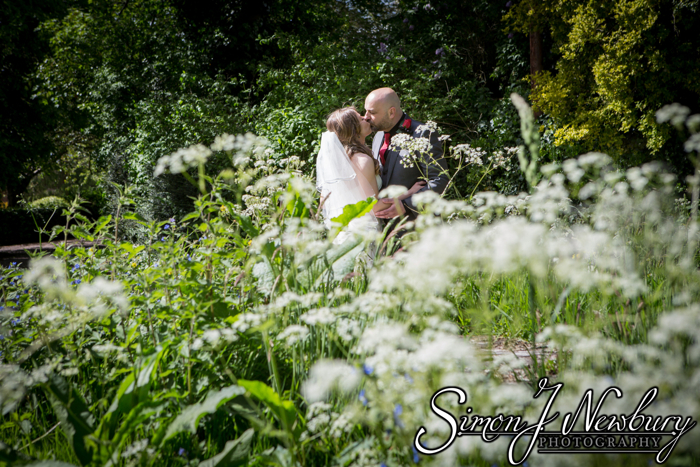 We attended the wedding rehearsal a few days beforehand to meet the officials and find out the best locations for the photography. 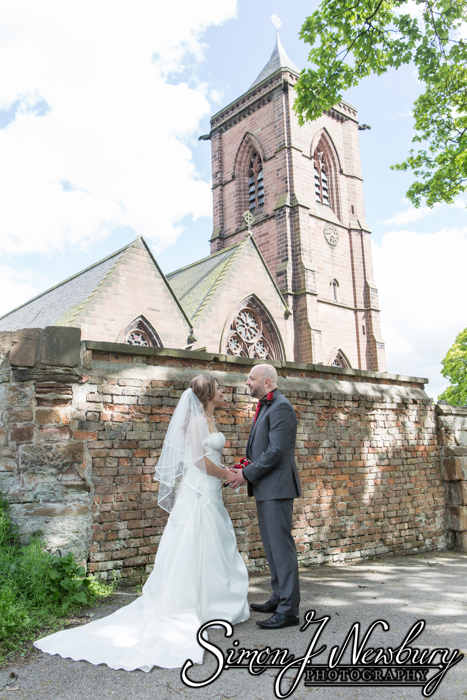 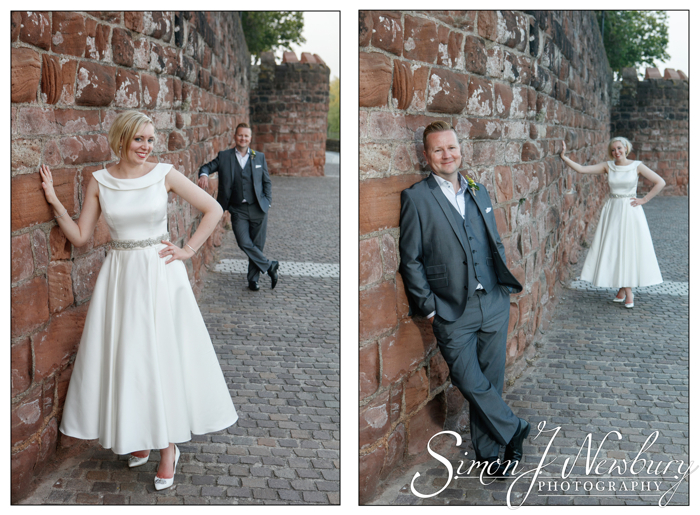 After some lovely readings and some music from the strings the bride and groom had some photos in the St Helen’s Churchyard and surrounding area before heading back to Nantwich for the reception. 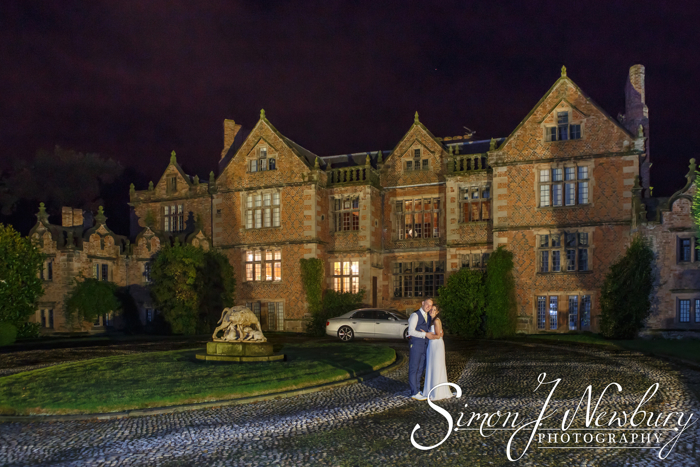 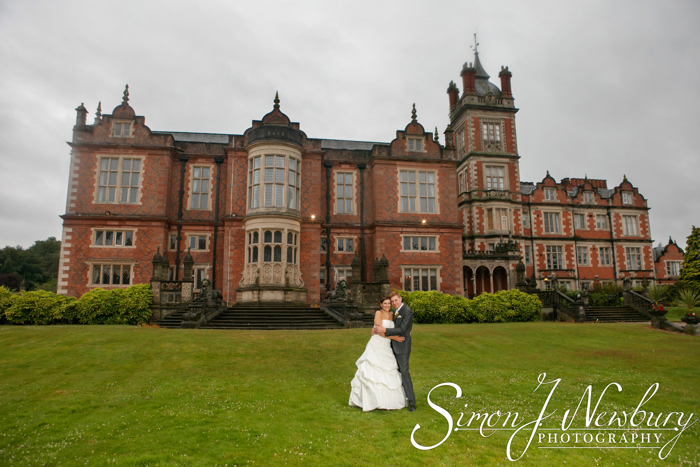 After the couple photos we headed back to Nantwich to The Shakespeare which was booked out for the private function. 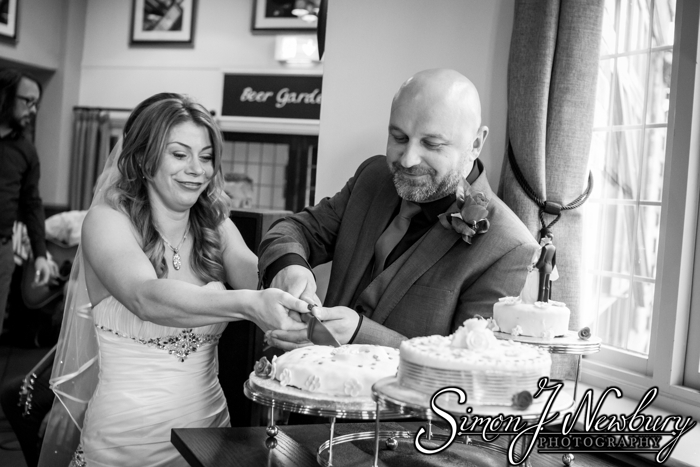 There were speeches, the cake cutting all before the first dance which ended up with the groom joining his band on stage to finish the song before launching into a set by Son of Shinobi. 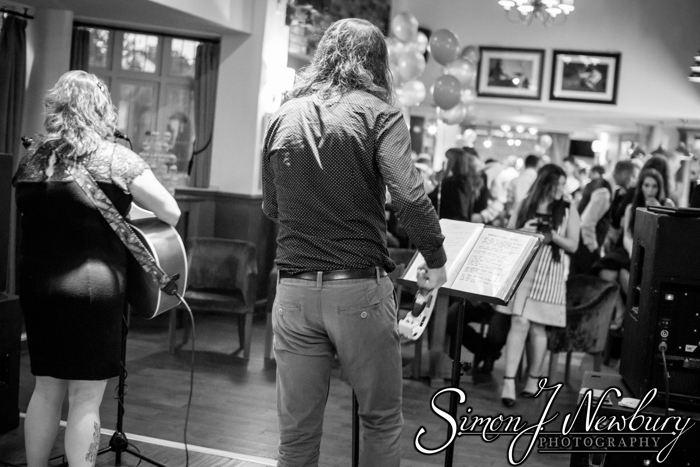 The live entertainment also included Baxter and Jimmy Dammage and the Shadow.